Starting tomorrow the sign-up bonus on the Chase Hyatt card changes from 2 free nights to 40,000 points. 40k Hyatt points may get you more than 2 nights at low to medium end Hyatt properties, but there’s no question that the value potential of the 2 free nights is higher than the 40k points. 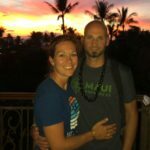 My wife and I each used our 2 free nights at the Maui Andaz at Wailea. The value of those two night stays were around $1,075 each. The same stay would have cost 50,000 Hyatt points. This inspirational trip could be accomplished with the current bonus, but after tonight, the 40k bonus would not cut it. Of course there are many less-awesome Hyatt properties are under 20k points per night. (And some notable “sweet spot” pricing on some more-awesome properties like the Andaz Papagayo for 15k per night.) If that’s more your style, the 40k bonus that starts tomorrow might be a better deal for you, because you could get the 2 free nights and still have some points leftover. But less-awesome hotels and limiting myself to sweet spot deals isn’t the reason I’m in this game- I do this to stay at resorts where you would picture the Wolf of Wall Street spent his vacations! So for me, the 2 nights deal is more valuable than the 40k deal. You need to apply for the card tonight. I don’t know when the actual change will occur, but to be safe I would get my app in before midnight Eastern Standard Time. For a link to the application page and for the most up-to-the-minute reports on when the offer has changed, visit the flyertalk wiki and thread on this card. 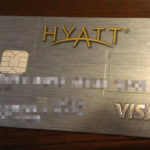 NOTE: The Chase Hyatt card is NOT subject to the Chase 5/24 rule. If you have over 5 new credit cards in the past 24 months, you will not be automatically declined. However, the card will of course still count toward your 5/24 limit for future applications. My full review of this card, including my valuation of the 2 night bonus which expires tonight. All the relevant card stats are also listed. At the end I include some help in deciding if and when to get this card. The dream vacation we were able to engineer, largely based on the free nights from the Chase Hyatt card. In this post is a complete explanation of how we planned the trip and got thousands of dollars of free hotel stays from credit card bonuses. A Long Weekend in Paradise . . . Why Not? This trip to Costa Rica this February was how we used another valuable benefit of the Chase Hyatt card, the annual free night after paying the $75 annual fee. Detailed valuation analysis is included here as well. For some general advice on choosing credit cards for their bonuses, read my post on Which Card Should I Get? Last but not least, don’t panic. The Chase Hyatt card will by no means become worthless tomorrow when the bonus changes to 40k points. The decision to get the card or not will pretty much remain the same. If anything, the timing will be less important. 40k Hyatt points is still worth a whole lot. But if you see the 2 free nights as an invitation to maximize some extreme value out of this card (as I do), then tonight is your last chance to do so! This entry was posted in Chase, Hyatt, Urgent News on June 28, 2017 by Gomanson.